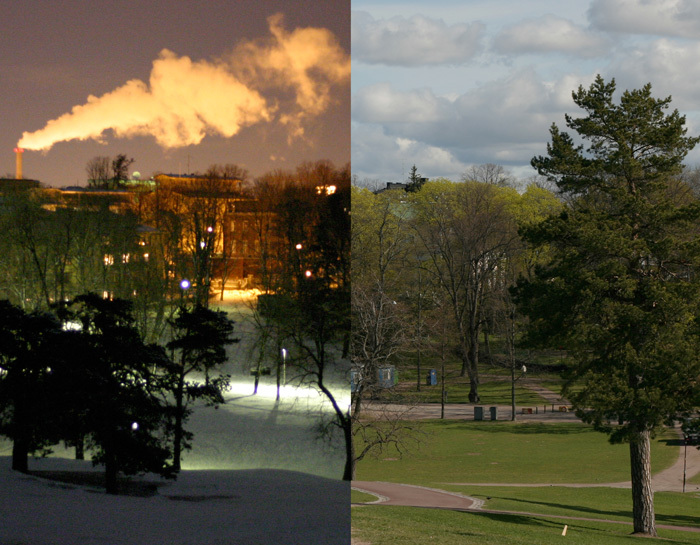 when its one, you cant imagine the other. a faded sign notating where a construction joint occurs in a bridge near ilmala train station. on the left is a picture i took in march 2008, paint & lettering peeling away but still visible. 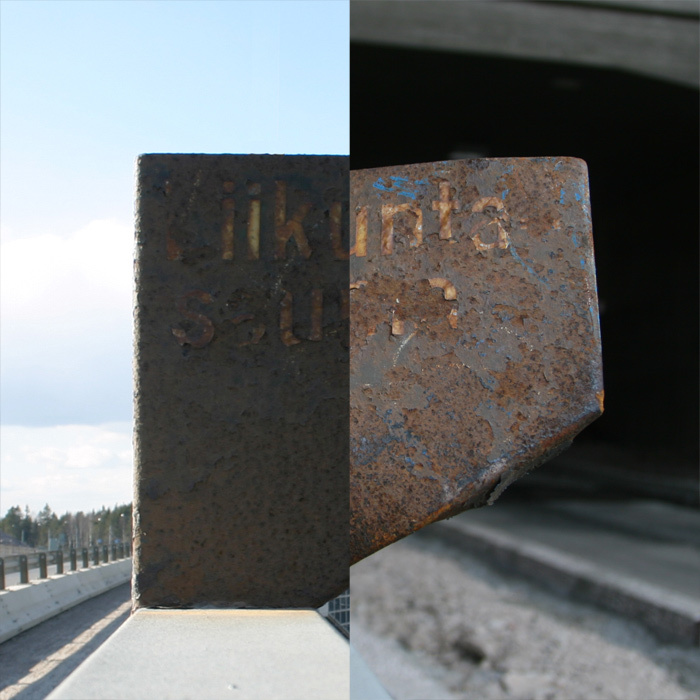 on the right is (i presume) the same sign in june of 2009. the sign has been taken down from its position on the bridge, it stands a little battered and distorted under the bridge waiting to be taken away. 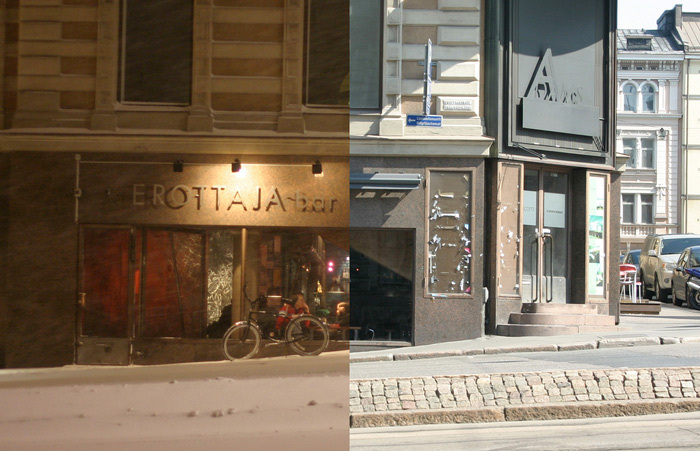 the bar erottaja has been sold it seems – lets see what comes next. above is a combination of two photos from over the last few years, a snowy wintery section combines with a sunny summery one. you are currently browsing the archives for the 5050 category.